Applied Kinesiology is a non-invasive system that evaluates structural, chemical, and mental aspects of health using muscle testing. Results of the muscle testing are confirmed with palpation, orthopedic examinations, and neurological evaluation. Goals set forth by the International College of Applied Kinesiology, are to provide a non-equipment-intensive assessment of the patient's functional health status. Restore postural balance, correct impaired gait, improve range of motion. Achieve balance of endocrine, immune, digestive, and other internal functions. Permit early intervention in degenerative diseases. Although weakness in a specific muscle is said to be a clue to possible problems in its associated organ or gland; practitioners do not claim that the results are diagnostically definitive. They say that improper performance in a manual muscle test may be due to nerve dysfunction, nutritional inadequacy, toxic chemicals, abnormal circulation of the cerebrospinal fluid that bathes the brain and spinal cord, tension in the membranes surrounding the brain and spinal cord, poor circulation of blood or lymph fluid, or "meridian system imbalance." Sacro Occipital Technique is a method of normalizing the relationship between the foundation of the spine and the top of the spine. It is this relationship and how the bones relate to one another, which is vital in maintaining normal function of the brain and spinal cord. Acupuncture Meridian Therapy assesses the flow and distribution of vital energy within its pathways, known as meridians and channels. The acupuncturist is able to influence health and sickness by stimulating certain areas along these meridians. Dr. Goltl does not use needles, instead uses muscle testing to locate and monitor the correction of each acupuncture point as he touches them with light pressure. Dr. Goltl uses a combination of patient history, clinical findings, and testing through Applied Kinesiology to determine the proper dietary and supplemental needs. Microcurrent therapy uses extremely low-level electrical currents (microcurrents) to treat nerve and muscle pain, inflammation and other health challenges. Each tissue type in your body has its own signature electrical frequency, which may be disrupted by injury or disease. Microcurrent therapy simply restores normal frequencies within the cells, resulting in remarkable improvements in pain, inflammation and function. When you undergo microcurrent therapy, electrodes are placed at strategic locations to direct the currents to the targeted tissues. Unlike the more familiar TENS units, which also use electrical currents to relieve pain, microcurrents are gentle, so you feel no shock-like sensations. Alan Goltl, TankHouse owner and all around coordinator/organizer is a graduate of the acclaimed Crestone Healing Arts Center in Crestone, Colorado. Alan offers a full range of massage and body work including Swedish, Shiatsu and Deep Tissue Massage; Acupressure, and Reflexology by appointment. 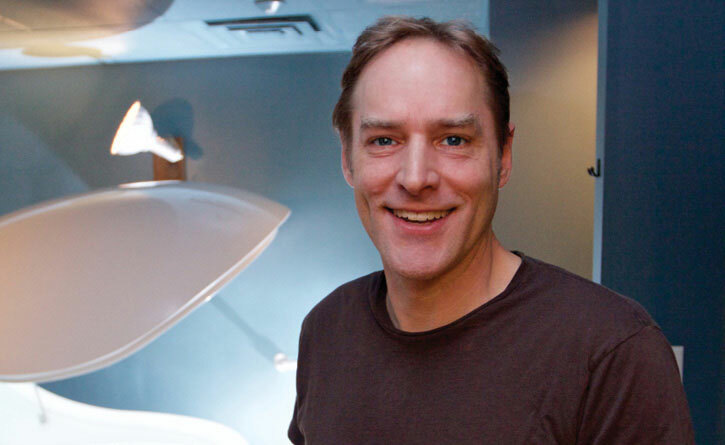 Alan and his knowledgeable team of assistants are extremely happy to join you on your path to wellness and to be the first to bring FLOATING with all its proven benefits to Kansas! We look forward to sharing our love and enthusiasm for these healing and restorative therapies with you. Call (316) 833-6018 or go online to schedule your float visit. "I had severe pain in my ribs after lung surgery. I wasn't able to sleep on my left side and had limited ability to bend and move. My daughter just had surgery on her neck to remove a cyst. My son had bumps on his arms and legs. After treatment with Dr. Goltl I can breath deeply and am able to work out at the gym. My sons bumps are nearly gone and my daughter doesn't cry as much and sleeps better. Dr. Goltl is knowledgeable, explains what he is doing, kind, and truly cares about our well being."